June 7, 2011, Entrance to Denali National Park with view of Mount Healy in background, Denali National Park and Preserve, Alaska, United States. This summer I’m beginning work on a project reconstructing and mapping the 1916 and 1919 scientific field investigations of U.S. Geological Survey geologist Stephen Reid Capps in the Denali National Park and Preserve area of Alaska. Capps made significant contributions to the early understanding of Alaskan geology and is widely recognized as a pioneer of Alaskan glaciology. Besides his scientific contributions, he was a talented photographer and writer and his photographs, observations, and writings about the game in the McKinley region were instrumental in the establishment of Mount McKinley National Park, which later would be renamed Denali National Park and Preserve. Over the last few months, I’ve been visiting archives and libraries across the U.S. collecting Capps’ field notes, personal letters he wrote from the field to his wife, his professional and popular publications, and his extensive collection of photographs. I plan to use the material I’ve gathered to determine where he visited during his fieldwork and conduct several backpacking and packrafting trips in Denali to retrace, map, and document the routes of his travels. In addition, I plan to use repeat photography techniques to document landscape and ecosystem changes in the Denali area during the period between Capps’ exploration and the present. My project is partially funded by a Murie Science and Learning Center Research Fellowship award from Alaska Geographic and Denali National Park and Preserve. 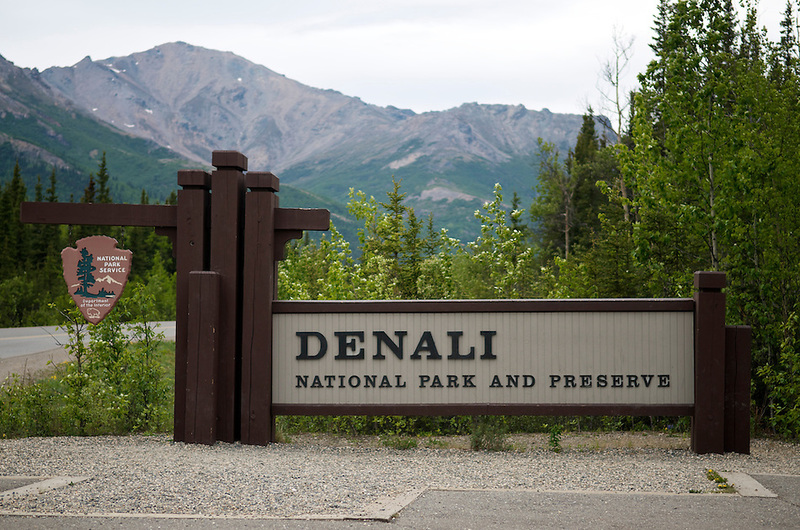 Here’s the link to the MLSC Fellowship announcement on the Denali National Park website. Over the next year or so, I’ll be writing a lot about Stephen Capps and providing details about my project (including preparations, techniques, archive findings, fieldwork, gear, images, results, etc). Please feel free to leave me a comment or contact me if you have questions about my project. June 15, 2011 | Filed under Stephen Reid Capps and tagged with Alaska, Denali National Park, Geology, Stephen R. Capps, U.S. Geological Survey. I am the grandson of the USGS geologist who is the focus of your project. Your website is great, the concept of your project is fascinating, and your side-by-side photos are incredible! I have my grandfather’s .303 Savage that he used to hunt game and protect the pack horses. In the stock, he carved the number of sheep, caribou, moose and bears he shot with it. I sent your website link to my sisters and cousins. You and your work have FANS! Wow, what a great surprise! Thank you for the compliments and for taking the time to comment. Your grandfather was a great geologist and a very interesting person. I love hearing the details about his .303 Savage. I knew that he carried a .303 because in his list of gear he stored in Seattle in his 1916 USGS field notes he lists 1 – .303 rifle and 1 – .22 rifle. I’ve been slowly expanding my project and I think I’m going to try to do a full biography of your grandfather. I’ve been doing a lot of research and I’ve got a lot of material that I think you and your family might like to see. I’ll send you an email and if you’re willing I would love to talk to you and learn more about your grandfather. Thank you for your message about your grandfather. Sorry for the slow reply, I just noticed your comment today. I love hearing stories and first hand information about SRC. I could spend a lifetime in archives and libraries trying to learn all I can about someone, but it is the stories and details from family members that really breathe life into their personality. I am extremely interested in that information and would be immensely grateful if you could share it with me. This type of information is very valuable to me! I just sent you an email.